Crucial has announced the launch of its new Crucial MX500 SSD to kick off this year's CES 2018. 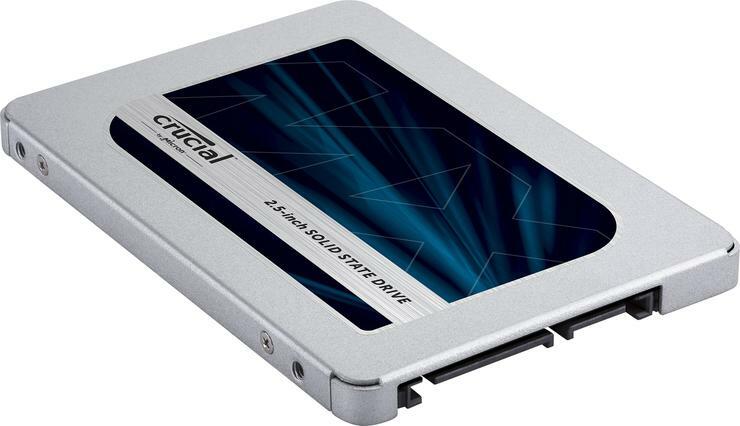 “This next generation MX500 SSD features a stackable 64-layer, 256-gigabit component. Micron’s floating gate NAND is designed with CMOS Under the Array (CUA), which allows us to minimise the footprint of the die. At 59 square millimeters, it’s among the world’s smallest 256-gigabit die,” said Jon Tanguy, Crucial Senior SSD Product Engineer. The new drive features second generation Micron 3D NAND technology and, according to Crucial, is about forty-five times more energy-efficient than a typical hard drive. It'll also boast sequential reads/writes up to 560/510 MB/s and random reads/writes up to 95K/90K IOPS. Exclusive Data Defence to prevent files from becoming corrupted and unusable. “We’re excited about our next generation of SSD drives and the near-instant performance and lasting reliability that comes with them,” said Jonathan Weech, Crucial Senior SSD Product Manager. The 2.5-inch version of the MX500 is available for immediate purchase at Crucial.com or through their global channel partners, while the MX500 M.2 version will be available in Q1’18.